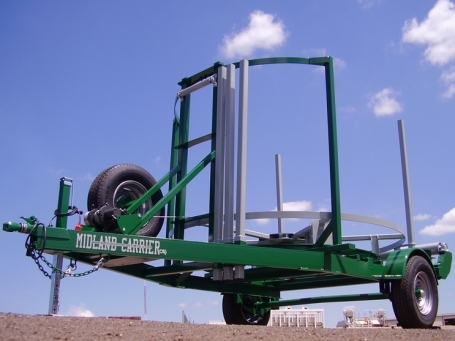 The Midland Carriers Model PO 400 poly pipe pay out trailer has proven to be a popular addition to our line. 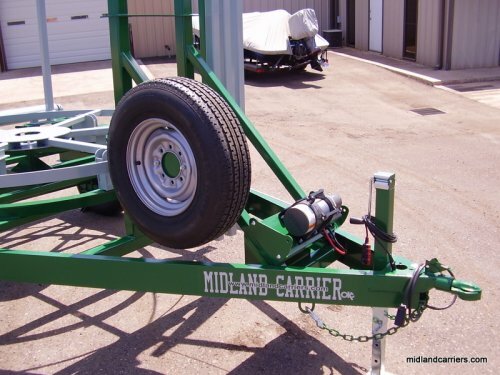 It is designed and manufactured to lay out factory rolls of 2", 3", and 4" polyethylene pipe in the most rugged conditions. 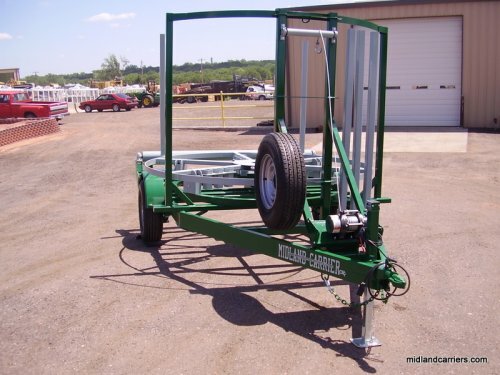 The PO 400 is ideal for anyone looking for an extremely heavy duty trailer to unroll poly pipe. Right: PO 400 with optional 5000 lb. electric winch. 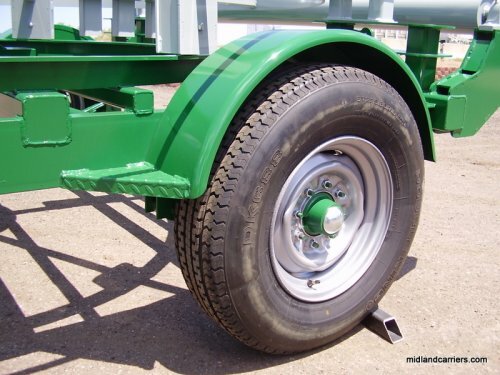 Standard running gear includes a custom built and American made 6k# axle, custom built heavy duty leaf springs, and 235/85 R16 LRE 10 ply tires with eight bolt steel wheels. Heavy duty 5" roller supported by pillow block bearings mounted on 1/4" steel plate. All steel construction. 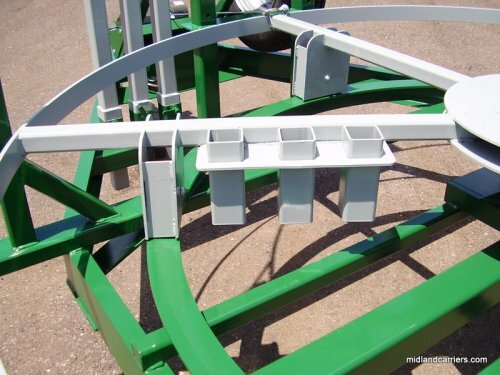 Square and rectangular tubing structure above a 6" channel frame. 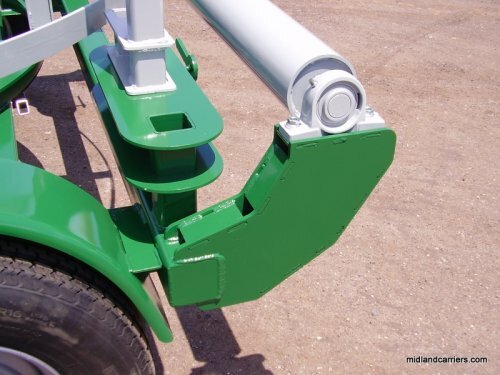 Adjustable posts for 2", 3", and 4" rolls of polyethylene pipe. Spare tire and mount. 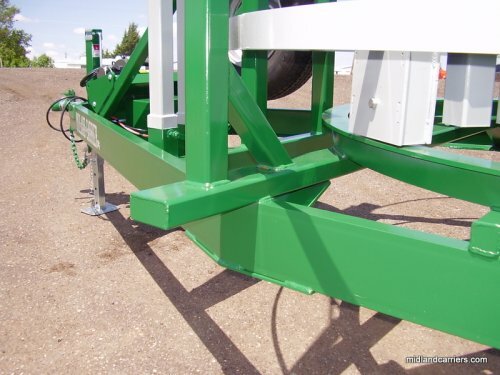 The spare tire is mounted on the front of the trailer. 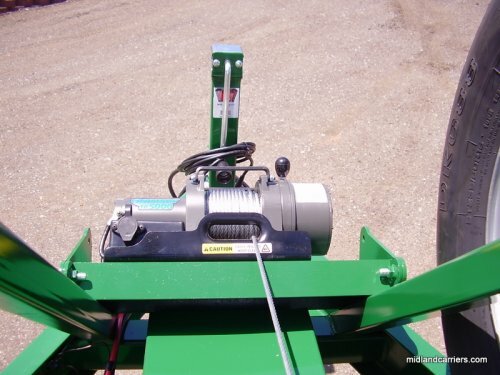 Ramsey TR5000 electric winch with battery and charging system. Shelby Industries 2500 lb. 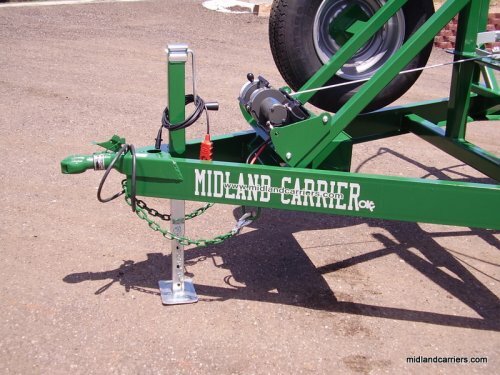 hand crank winch with brake.